A 40-year-old woman presented to our emergency department with abdominal pain (especially in the left iliac fossa), nausea and vomiting for 1 day prior to admission. On questioning, she said that, 8 months earlier, she had undergone mini-gastric bypass for obesity. Clinical examination revealed abdominal distension, diminished bowel sounds and a non-reducible, tender lump in the left inguinal region. 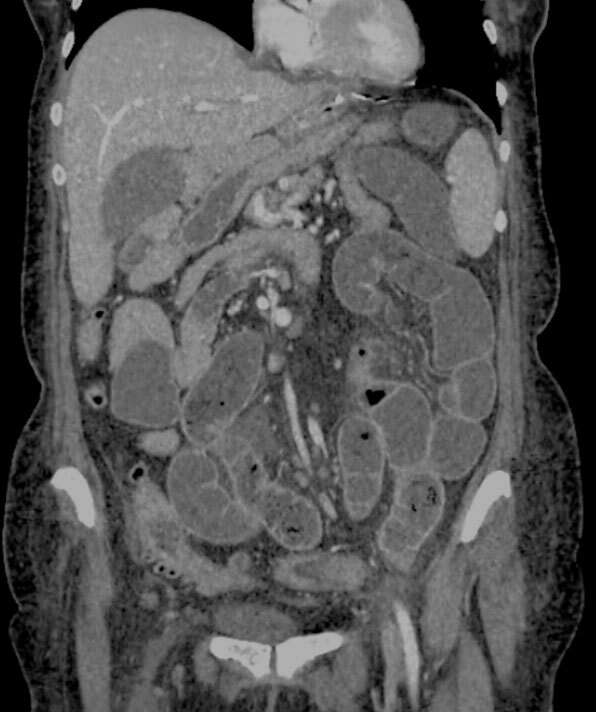 Contrast-enhanced CT of the abdomen was performed to evaluate the clinical condition.